After a long week of being cold, and having the flu I am back! First off, the place where I live hit the negatives….Chicago ya’ll…I mean I love it and hate it at the same time because you are never to sure if it is going to snow, or it will be summer. Today we hit 51 degrees so it is insane how we are now warm in the city. Some of the things that I did while I had time off were catching up with a show on Netflix which is called “Pasion de Gavilanes” which I am already done with it. This is a novela that came out when I was small and because I love it so much this was my 100th time seeing it lol! Another thing that I did was making a list on what to write this week. I must confess that at times it is so difficult to touch a few topics because a lot of us might not share the same views. For example, politics and how Cardi B is going hard on Tomi Lahren that is hilarious! If you do not have a twitter account I would highly suggest to get one so you can get caught up with what is going on. Do you think I should talk about stuff like this? and if so why? Let me know!!! Also, if you used to be a fan of Carmen Sandiego you should get on Netflix now! I saw the whole thing and it reminded me of my childhood! 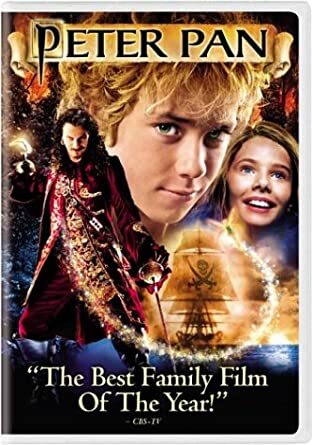 When this version came out on theaters I remember I was so hyped, and had a huge crush on the actor that played Peter Pan lol! Let’s see how he looks like now shall we? No wonder………I mean the glow-up my dude THE GLOW UP!!!!!! I had to send my sister a picture of the DVD that I found at school, and she could not believe that I found it lol!! The one I am trying to find is my Pitch Perfect DVD because I am finding a lot of cases that are empty, but the movies are not there. Do any of you have any favorite movies that you have lost? Feel free to share with me the movies you love so I can check them out. I will be doing a few reviews this coming week so keep an eye out because I have some jewelry that I want you all to see!!! Stay tuned!!! !